For most students, the person most cited as having enduring influence on America’s founding fathers is John Locke. While Locke’s influence is undeniable and his Treatises on Government of immense importance, they pale in comparison to the influence of the Charles Baron De Montesquieu. 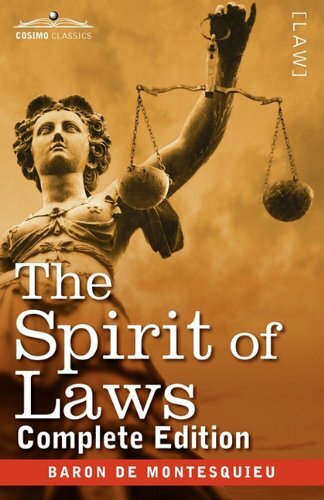 Montesquieu’s (pronounced Mon-te-skew) book on The Spirit of Laws was the preeminent book that the founding fathers looked to in forming the American government. For instance, separation of powers, a concept now accepted as the most basic tenant of modern governance, was first laid down in this work. It is fair to say that without Montesquieu there would not of been American Constitution nor likely even a nation called the United States. This book is that important.